If your business or organization accepts credit cards as payment, the following information is essential to a legal and efficient operation within the United States. PCI compliance is mandatory and, if you aren’t yet compliant, you must do so now. If you choose to ignore PCI compliance, it could not only cost you thousands of dollars in fines, but your entire business itself. Is your business PCI compliant? On September 7, 2006, the Payment Card Industry Security Standards Council (PCI SSC) was launched in order to manage the constantly evolving needs of Payment Card Industry (PCI) security standards, primarily focusing on security for payment accounts throughout the payment process. The PCI SSC was created by the major credit card brands Visa, MasterCard, American Express, Discover, and JCB, effectively administering and managing the PCI DSS process. The Payment Card Industry Data Security Standard (PCI DSS) is a set of requirements designed to ensure that all companies that process, store, or transmit credit card information maintain a secure environment. Essentially this encompasses any merchant that has a Merchant ID (MID). Does PCI Apply to You? PCI Compliance applies to all businesses, organizations or merchants, regardless of size or number of transactions, that accepts, transmits or stores any credit cardholder data. Simply put, if any customer ever pays a business or merchant directly with a credit card, then the PCI DSS requirements apply. Even if you only accept credit cards over the phone, PCI Compliance is still applicable. Debit and prepaid cards that are branded with one of the five card brands also fall within the scope of cards required by the PCI SSC to meet their requirements. If your business or organization is deemed non-compliant, you and your merchant bank may accrue very stiff fines and penalties. Not to mention your processor will generally charge a monthly penalty until you are compliant. The credit card brands may, at their own discretion, fine you $5,000 to $100,000 per month for PCI compliance violations. Penalties are not openly discussed, but they can absolutely devastate a small- or medium-sized business. A lot of small to medium-sized businesses go through banks to set up their credit card processing services. If your business is within this scope, it’s incredibly important to be familiar with your merchant account agreement, which should outline your exposure to penalties and fines. PCI Compliance is mandatory, and if you’re non-compliant, it could cost you up to 70 percent of your revenue in fines. If you’re in need of credit card processing or merchant services that will ensure your PCI Compliance, call Veritrans now. 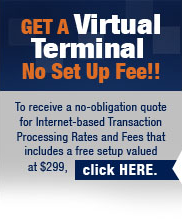 Veritrans has the credit card processing services your business needs, plus superior quality service and no hidden fees. Guaranteed. Veritrans offers retail, wireless, online, and MOTO processing for all types of major brand cards: Visa, MasterCard, American Express, Discover, JCB (Japan’s Credit Card), Pin-based debit cards and EBT (food stamps) cards. Even if you already have an account somewhere else, call Veritrans for a free and cofidential analysis of your current contract and fees. No matter your situation, we will help you understand our cost-effective card processing service solutions. Call 1-866-474-4144 Opt 2 today for your FREE consultation.